Ide Hill Village is within a Conservation Area. A Conservation Area is an area of special architectural or historic interest, the character or appearance of which should be preserved or enhanced. An area of outstanding natural beauty (AONB) is land protected by the Countryside and Rights of Way Act 2000 (CROW Act). It protects the land to conserve and enhance its natural beauty. The CROW Act sets out the roles and responsibilities that different organisations must follow to manage AONBs. There are 34 AONBs in England. Under the CROW Act, all decisions must have regard for the purpose of conserving and enhancing the natural beauty of the AONB. Only local authorities or the Secretary of State can give permission for development in, or affecting, an AONB. Ide Hill is within an area of outstanding natural beauty (AONB). 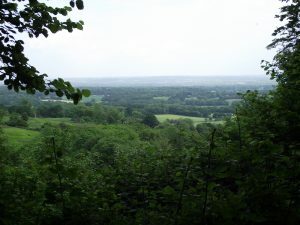 Ide Hill village lies four miles to the south-west of Sevenoaks at one of the highest points of the Greensand Ridge with views to the south over the Weald and north, over the parent parish of Sundridge and the Holmesdale valley, to the North Downs. It is situated in an Area of Outstanding Natural Beauty. The Ide Hill Society holds lectures on local history and other topics of interest to our members during the winter. The Ide Hill Society arranges excursions in the summer months.